(CBS/AP) KANSAS CITY, Mo. 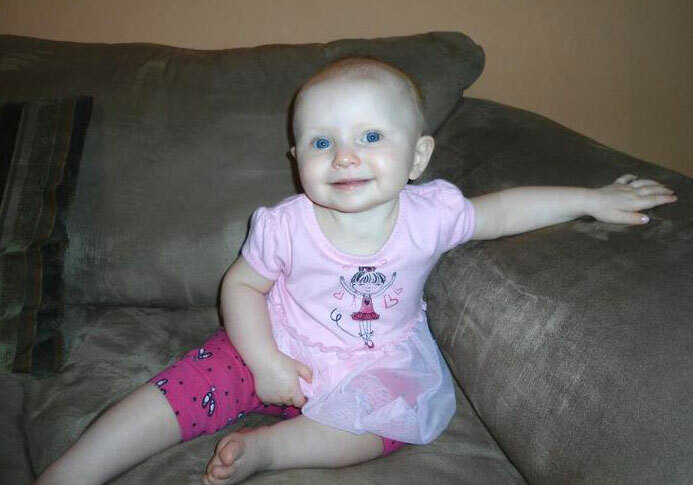 - A new surveillance video has surfaced from the night 11-month-old Lisa Irwin went missing from her Kansas City home, according to a report. The video was taken from a BP gas station less than two miles from the home where Lisa disappeared. The video shows an unidentified person walking along the road around 2:15 a.m. Oct. 4, reports CNN. According to the gas station manager, it is highly unusual to see anyone walking at that time of night in the area, reports the station. Neither the FBI nor the Kansas City police commented on the tape, citing the ongoing investigation. Meanwhile on Saturday, police stated an FBI cadaver dog reacted to the scent of a dead body inside the home where Lisa was last seen. The affidavit was filed to support a search warrant request for the home of Deborah Bradley and Jeremy Irwin, who reported Lisa missing. They said someone must have crept into the home and taken the girl while the mother and two other boys slept. According to the affidavit, the dog was taken into the house Monday, where it indicated a "positive 'hit'" for the scent of a deceased human in an area of the floor of Bradley's bedroom near the bed." A judge approved the warrant Tuesday and police and the FBI conducted a daylong search Wednesday. Wednesday's search was perhaps law enforcement's most aggressive yet at the parents' home, drawing officers armed with shovels, rakes and other tools who hauled off bags that appeared to be full of potential evidence. Attorney Joe Tacopina told The Associated Press late Friday he considers the report meaningless. Tacopina says cadaver dogs are trained to detect decomposing flesh. He adds that even if the baby had died, decomposition could not have happened so quickly.